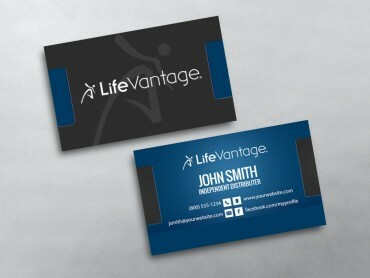 LifeVantage business cards continue to be a must-have marketing tool for a LifeVantage Distributor. 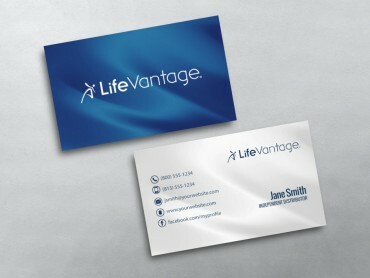 Today, a business card isn’t merely a small piece of white paper that you can hand out to others only to be thrown in the trash can. 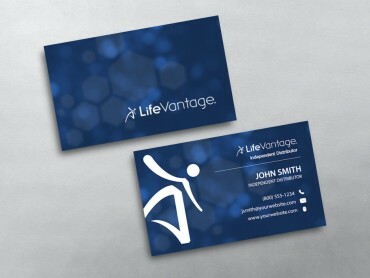 MLM Business cards for LifeVantage have assumed a more beautiful form, becoming a valuable piece of paper – colorfully designed and attractively presented – something that the prospect would like to retain with them. 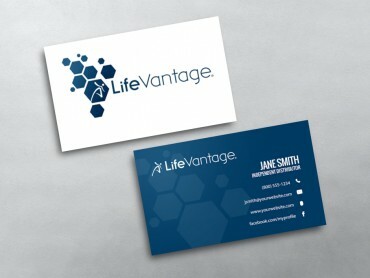 When it comes to marketing, LifeVantage business cards from MLM Cards are your best bet. 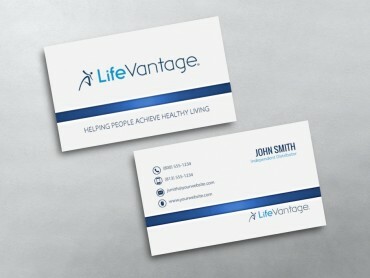 A business card speaks volumes of your standing in the industry and can help increase your chances of getting business. Make sure you carry a good number of cards in your pocket every time you go out. You never know when you might encounter a prospect. Show enough courtesy to ask for their card in return. 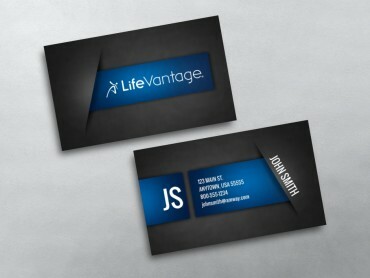 After handing out your LifeVantage business card to a prospect, make sure you do consistent follow up. 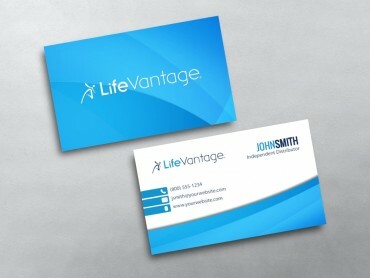 Remember, your network marketing business card is an important yet inexpensive way to spread the word about your business. There isn’t a better way to let others know how special your services are and how they can benefit by doing business with you.